Our team made a trek out to New York a little while back to learn from key people at Hashtag Sports. One of my favorite panels was an open discussion between Rick Cordella from NBC Sports, TJ Adeshola from Twitter, Andrew Miller from Fan Cred, and the charismatic Bonin Bough from Cleveland Hustles. They were chatting about the future of sports media, but it evolved into a broader discussion about what makes brands compelling, and what the future might look like. My goal is to share some insights from the discussion, and provide some context that might be helpful to anyone who is interested in creating compelling branded content. The idea that brands are data rich and know what performs is only half of the story. Brands know that authentic stories are compelling because the results they see so greatly outperform the alternative. More of a kick than a nudge. 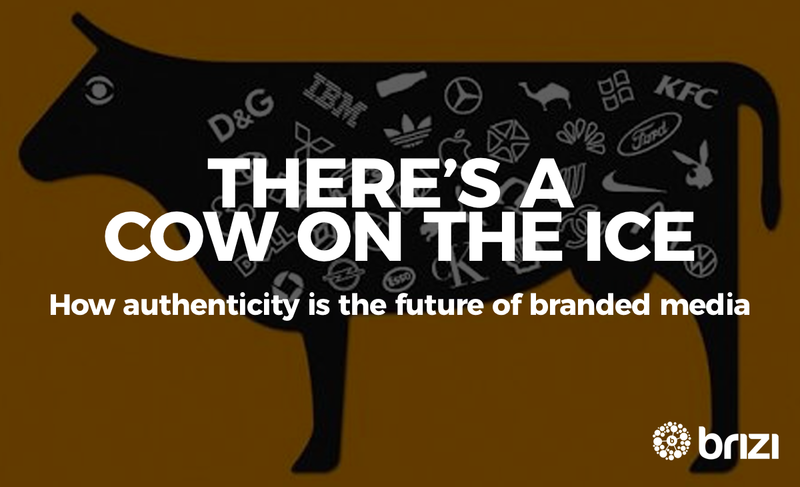 A recent Time Inc. study on Adweek reinforces this idea, they found that 90% of consumers want authentic content, and that people don’t respond well if they feel they are being “sold to”. I think a good way of thinking about how brand content can be authentic, is that it needs to have a fit with the nature of a brand, it needs to be useful or interesting, it needs to be unique or creative, and it can’t feel like a sales brochure for a used car, that is to say, it needs to know its audience. You don’t have to look far for compelling content, just look to social media, your favorite actors, comedians, musicians, and of course, athletes, are out there sharing their stories, and often do a better job of selling the brands they represent than the brands themselves. Teams understand this, that’s why most team promotion is built on athlete content, athlete sharing, and the people that surround them. Great examples include Lebron James, Serena Williams, or Joel Embiid’s The Process. Fans want these stories because they are compelling, and they are compelling because they are authentic. Authenticity doesn’t have to mean social media, have a look at Dollar Shave Club’s hilarious and irreverent walkthrough of their business, Zendesk’s Zendesk Alternative a sponsored alternative rock band, or Mailchimp’s odd but intriguing misspelled campaign with landing pages for FailChips, SnailPrimps, and JailBlimps. It just needs to work with the identity of the brand. A key thought here is that creativity doesn’t mean authenticity, you don’t want to be Pepsi’s Naked Juice, nakedly lying about being all natural and non-gmo, or Volkswagen falsifying emission tests for its diesel cars, or be a Strawberry Fruit Rollup without any strawberry in it. A message that was often brought up, was that brand content doesn’t have to sit in the background of a conversation, quietly trying to get people to care. Famous examples of brands deeply influencing culture include Budweiser’s “Whassup!”, Metro Train’s Dumb ways to die, Dos Equis’ The Most Interesting Man, Apple’s “Hi I’m a mac, and I’m a PC”, Old Spice’s, the man your man could smell like, and Dove’s campaign for real beauty. One of my favorite examples, going back to the idea of brands being data rich, is Nike’s “LikeAGirl” campaign, that came as a result of a study showing that 49% of girls feel paralyzed by fear of failure to avoid trying new things like sports and running. It resonated with people, and outlines the final point of authenticity, content needs to know its audience. I think it comes down to this, if you want to be compelling you need to be authentic, if you want to be authentic, you need to know your audience, and if you want to know your audience, engage with it directly. If you’re smart, you’ll do all three. Brizi lets anyone tap into nearby cameras to capture group memories at iconic places. We’re working with brands in partnership with NBA basketball, European soccer, Grand Slam tennis, and landmarks to deliver an experience within an experience, generating brand affinity, creating micro-influencers, and collecting valuable data.